DRLC and The Art of Autism are pleased to present an art contest. A Star of Inclusion at this year’s FDR Dinner, The Art of Autism is a collaborative of artists, poets, authors, and entertainers and an important partner in creating a more inclusive society. 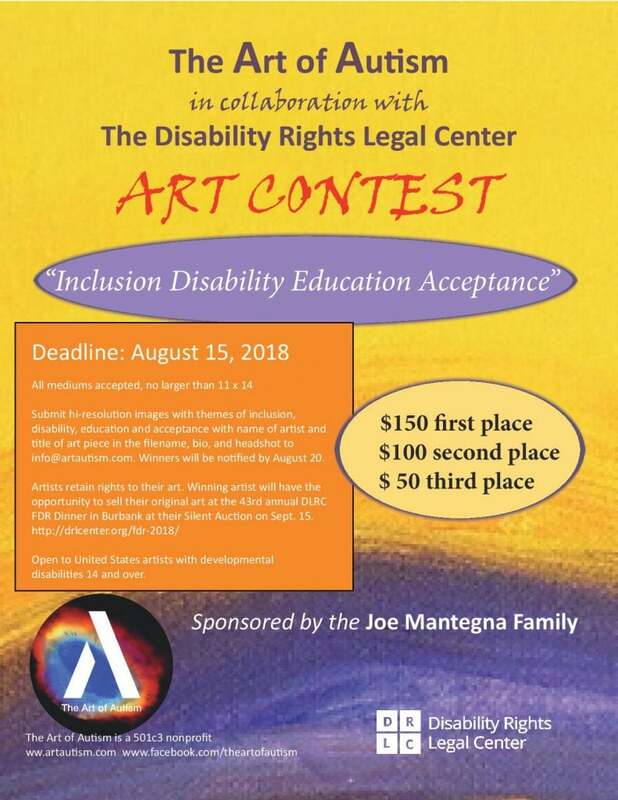 Thanks to sponsorship by the Mantegna family, all artists, ages 14 and up, with developmental disabilities, are encouraged to enter for a chance to win up to $150. The winner will also have the chance to sell their original art at the FDR Dinner! Submit a high-resolution original piece on any medium, no larger than 11×14 inches, focused on the themes of inclusion, disability, education, and acceptance to info@artautism.com by August 15, 2018. The winner will be notified by August 20. Artists retain rights. This contest is open to U.S. residents, ages 14+, with developmental disabilities. First place wins $150; second place, $100; third, $50. Learn more about the contest at the-art-of-autism.com/the-art-of-autism-and-the-disability-legal-rights-center-announce-art-contest. For more information about the FDR Dinner, visit drlcenter.org/fdr-2018.